Naira worried for Kartik Comes to Dadi to Talk Dadi Scolds Her Yeh Rishta Kya Kahlata Hai SBS 2nd June Video and Written Update. Segment Start with After Naira Came to Know about Kartik’s Drinking Habit She Keeps eye on Kartik’s Departure from His Apartment and When She Sees Late in the Night that Kartik hasn’t come back She Goes to His Apartment to Talk to Dadi. Dadi Opens The Gate and Gets Shocked to See Naira at Door. Naira from the Door thinks How to Asks Dadi About Kartik Where is He? Why is He So Changed and Become Like this? She indirectly asks Her But Dadi Scolds her that If You want to ask About Kartik then Say Clearly don’t talk in Circles and Ask Directly. Naira comes inside and Asks Dadi About his Habits and Why is he so Changed Also She Tells Dadi to Take Care and Keep eye on Him. 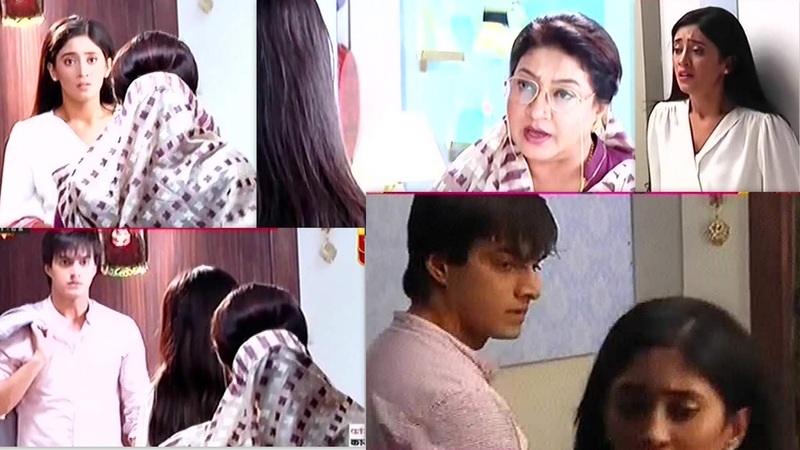 Dadi doesn’t understand What does that Mean Before She asks They Hear door Bell and Kartik is at Door He Gets Shocked to See Naira and Naira quickly run out from there. He comes inside and Puts His Coat on the couch and Sits on the Couch Thinks about Naira why She has come to his Apartment to meet Dadi or me? Naira’s interview: Yes I was worried for Kartik and went to meet dadi to ask about his Changed Behaviour also told her to take care of Him. Dadi Scolded me that if I want to ask about Kartik then I Should Say Clearly. Kartik’s Interview: He Says Same that Kartik is now drinking Daily So When I Came Back Home Got Shocked to See Naira there She has come to ask Dadi about me.